Pack it up, folks. The machines will take it from here. JP Morgan Chase & Co. is the biggest bank in the United States. It is one of the largest employers in the American banking sector, with more than 240,000 employees serving millions of customers. Some of those employees are lawyers and loan officers who spend a total of 360,000 hours each year tackling a slew of rather mundane tasks, such as interpreting commercial-loan agreements. Now, the company has managed to cut the time spent on this work down to a matter of seconds using machine learning. In June, JP Morgan started implementing a program called COIN, which is short for Contract Intelligence. COIN runs on a machine learning system that’s powered by a new private cloud network that the bank uses. Apart from shortening the time it takes to review documents, COIN has also managed to help JP Morgan decrease its number of loan-servicing mistakes. According to the program’s designers, these mistakes stemmed from human error in interpreting 12,000 new wholesale contracts every year. COIN is part of the bank’s push to automate filing tasks and create new tools for both its bankers and clients. Automation is now a growing part of JP Morgan’s $9.6 billion technology budget. In fact, over the past two years, technology spending in JP Morgan’s consumer banking sector has totaled about $1 billion. “We have invested heavily in technology and marketing — and we are seeing strong returns,” the bank said in a presentation prior to its annual investor day. Over the coming years and decades, artificial intelligence (AI) is expected to usher in a new era of automation. Accordingly, the increase in automated systems will bring with it job displacement in a number of industries, including finance, transportation, manufacturing, information technology, and even law. 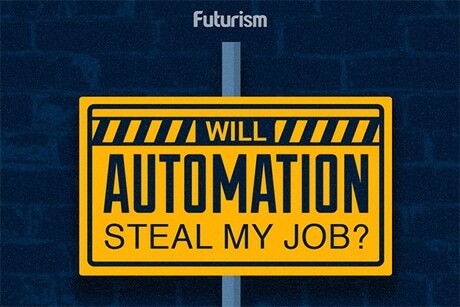 In total, one study projected that 57 percent of the world’s jobs are at risk of being replaced by automated systems. The bank, however, doesn’t see their move toward better automated systems as a cause of unemployment. “People always talk about this stuff as displacement. I talk about it as freeing people to work on higher-value things, which is why it’s such a terrific opportunity for the firm,” said Dana Deasy, Chief Information Officer at JP Morgan. Whatever the case may be, automation will cause a job disruption in the years to come. In some places, like JP Morgan, it’s already begun. Institutions, both private and public, have to be ready to adjust to the economic future automation will bring with it.